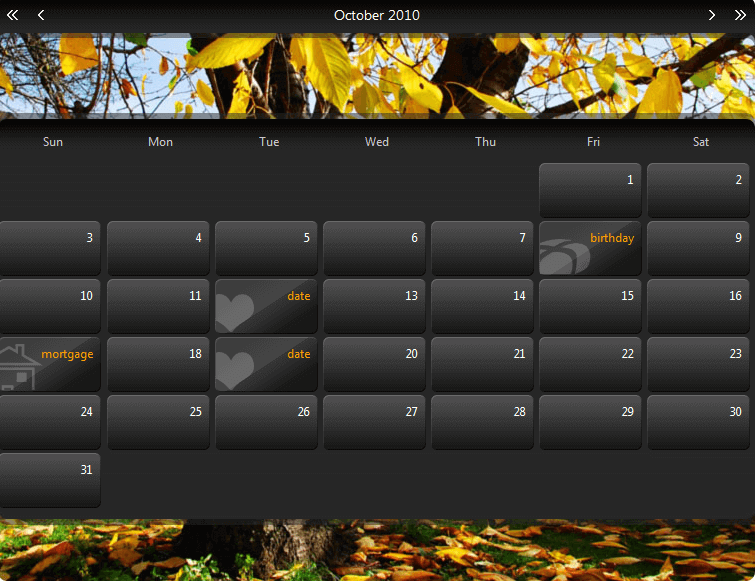 The header and footer areas of a RadCalendar control can be customized using templates. The header is the area between the title and the main calendar area, while the footer is the area below the main calendar area. As with all RadCalendar templates, the header and footer templates can contain regular HTML, including text, images, hyperlinks, and so on. To create templates for the header and footer, right click on the RadCalendar control and choose Edit Template | CalendarHeader or Edit Template | CalendarFooter. This brings up the template design surface, where you can drag and drop items from the tool box.